Since it was raining for the last few days, it was more of a kind office to home and home to office week. So I decided to take a ride on the weekend. 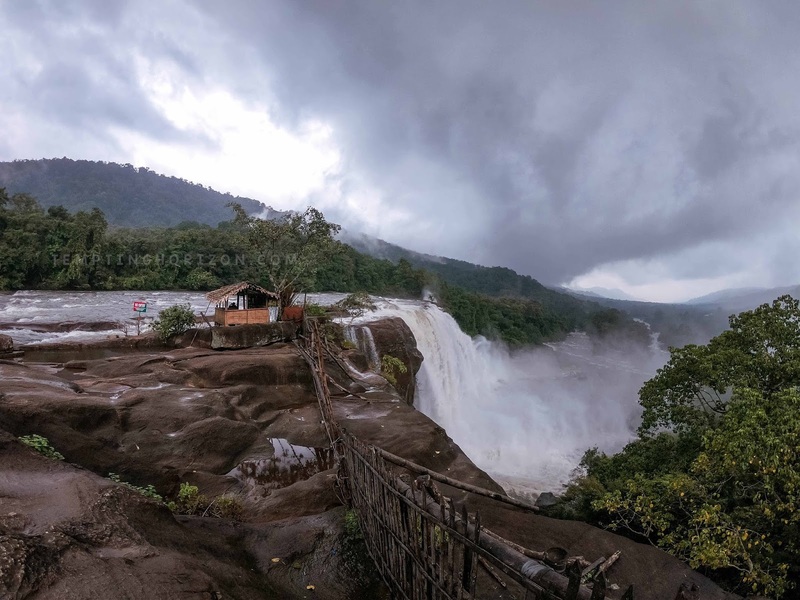 I called some friends of mine for a company and the destination was none other than Athirapilly falls. It was not at all a long drive, just a local place for us. As always nobody was free for the weekend and I planned to go alone. But in the end, one of my friends joined me for the trip. We planned to start early in the morning, which is a usual scene in my tours. Starting the journey as early as possible, better if it is even before the first light of a day, which is my main agenda. 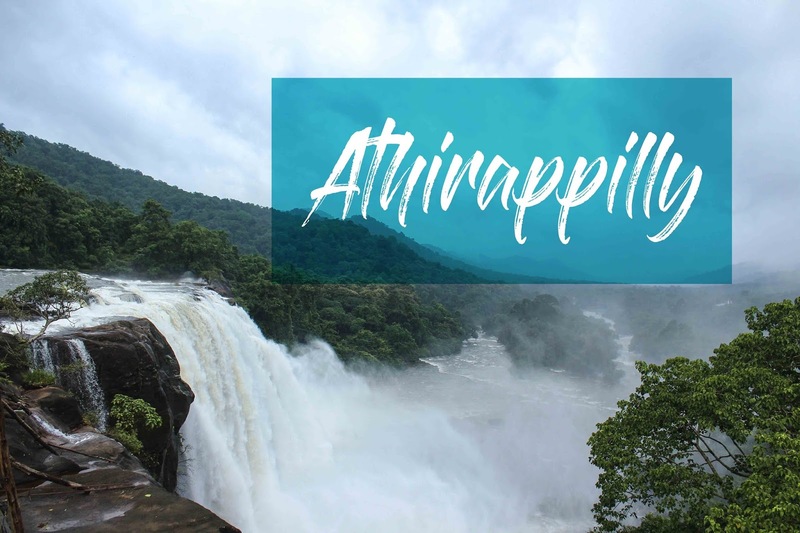 Athirappilly is located in the Thrissur district of Kerala, India. Nedumbassery is the nearest Airport and Angamaly is the nearest popular railway station. From there you can track the route as shown on the map. 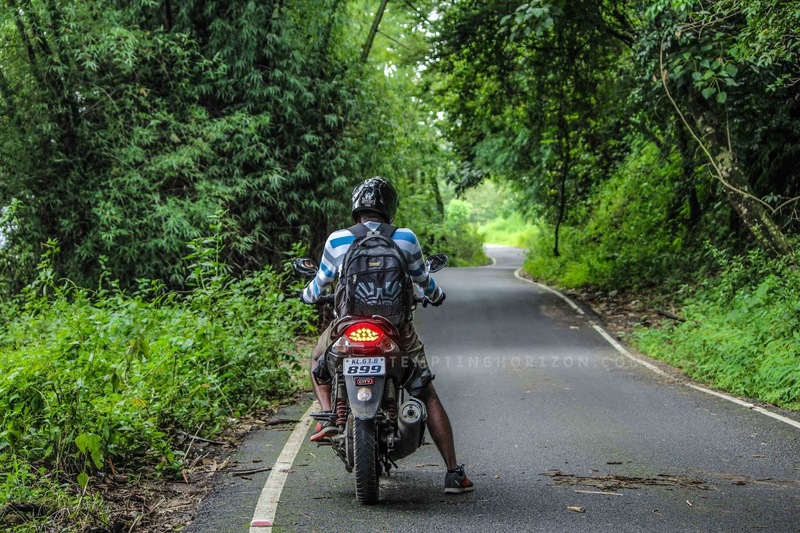 Chalakudy - Athirappilly is the best route, which was pretty long to us. That is why we skipped that one. 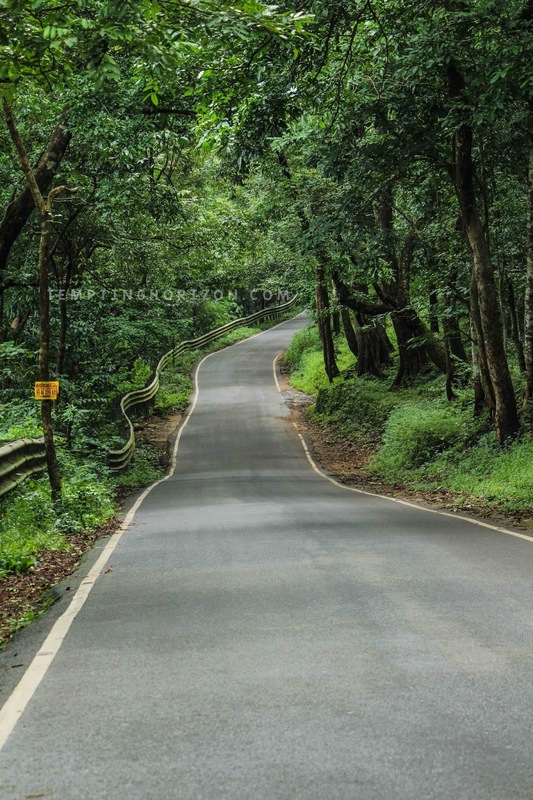 Manjapra - Mookkannor - Ezhattumugham - Athirapilly was the route that we chose, which is a route enrich with scenic views. There is also another inner route through our village but due to our comfort, we chose the above route to catch the destination. 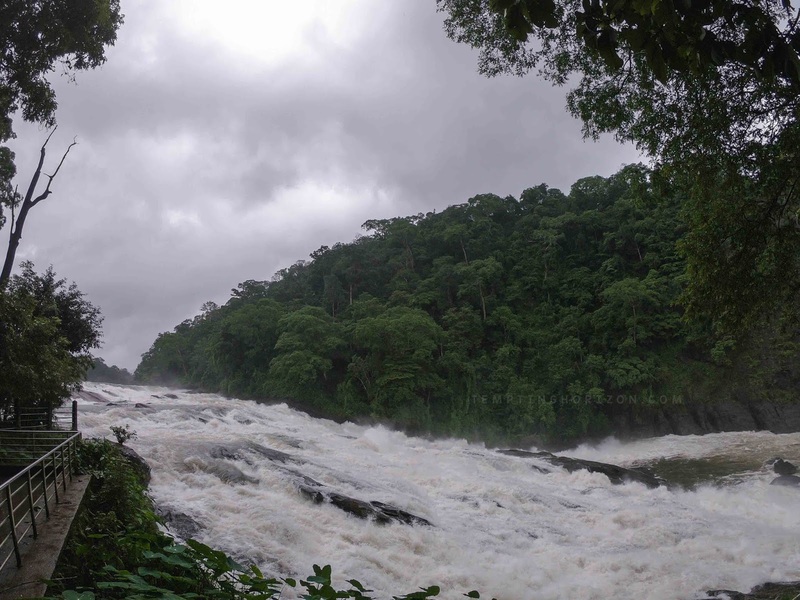 have a viewpoint to enjoy the eye-catching falls. We were the second entry at the counter for the day. Since it was drizzling in the morning, it was a misty atmosphere throughout our route. 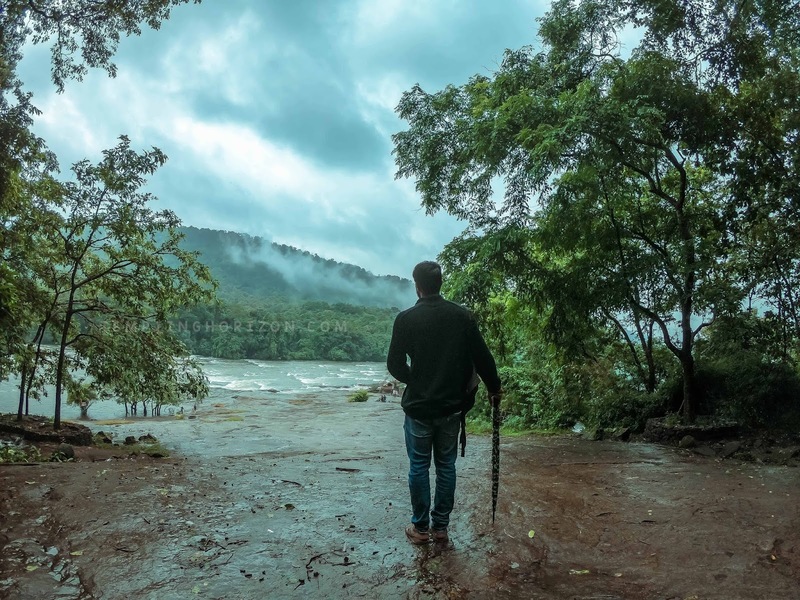 The monsoon was already at its peak in Kerala then. So the entrance towards the base of the falls was closed. Actually, we have two spots from where we can experience the falls. From the head and from the bottom too. Not a usual scene for all waterfalls. But mostly in the monsoon, the entrance towards the base portion will be closed due to safety reasons. 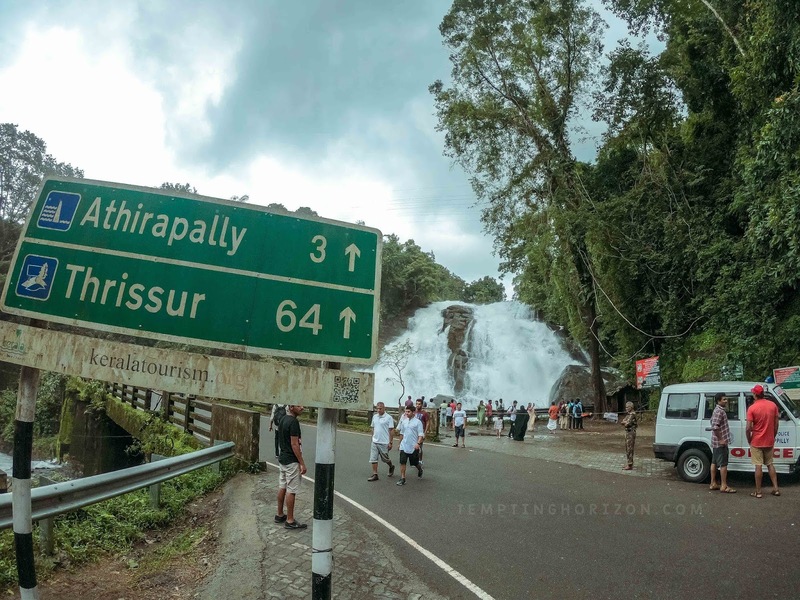 Since we both already visited Athirappilly many times it wasn't hurt us. If you can't experience that its surely gonna be a real MISS. There are many shops where you can collect local things which were not opened then because it was too early in the morning during off seasons. 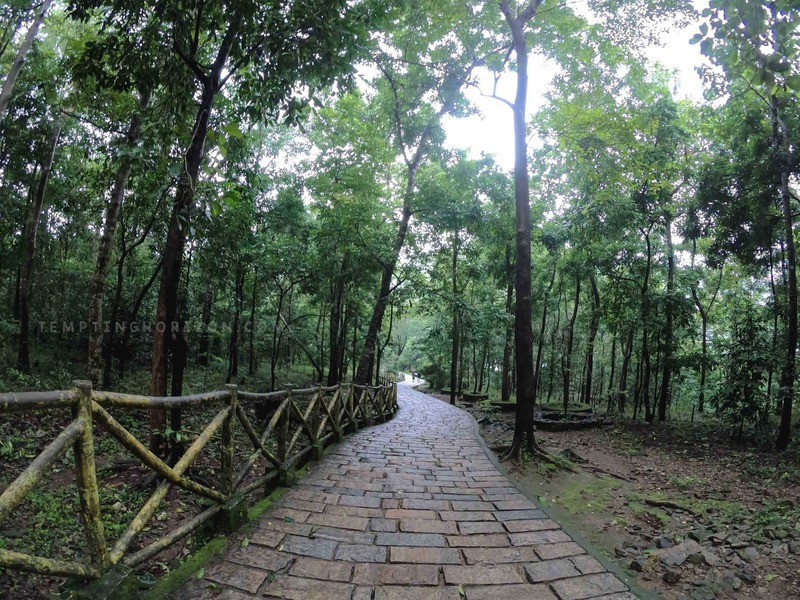 You will cross Charpa on your way to Vazhachal from Athirappilly. Sorry, actually Charpa will cross you on the route. 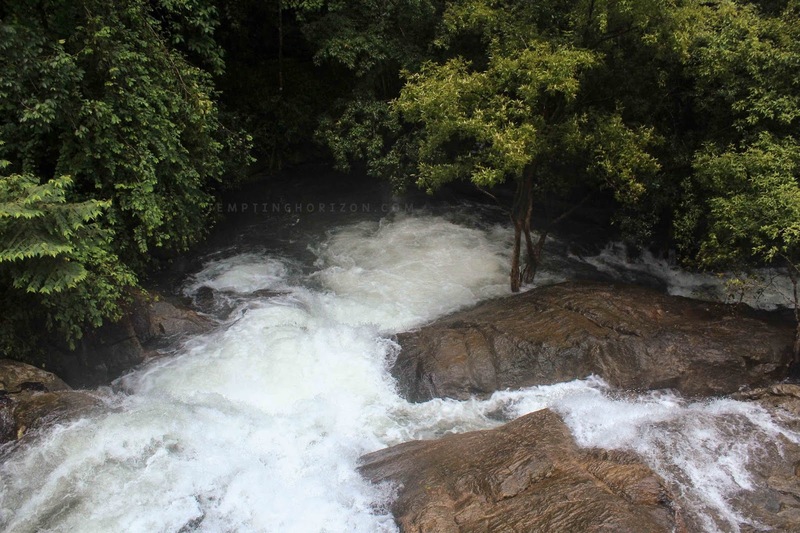 It carries the water from Vazhachal to Athirappilly. 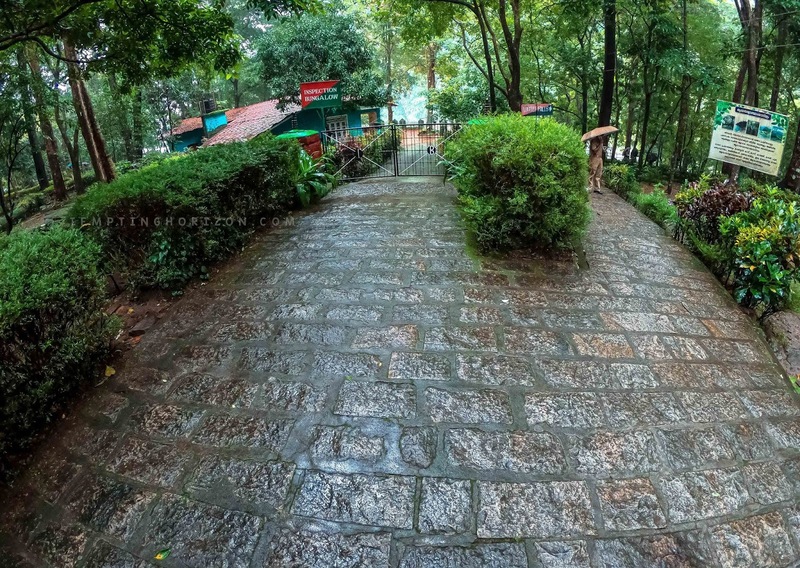 Since we were there at the monsoon Charpa was at it's richest form and it almost gives you a shower while you cross the road. Some people just drive through here, without even stopping. 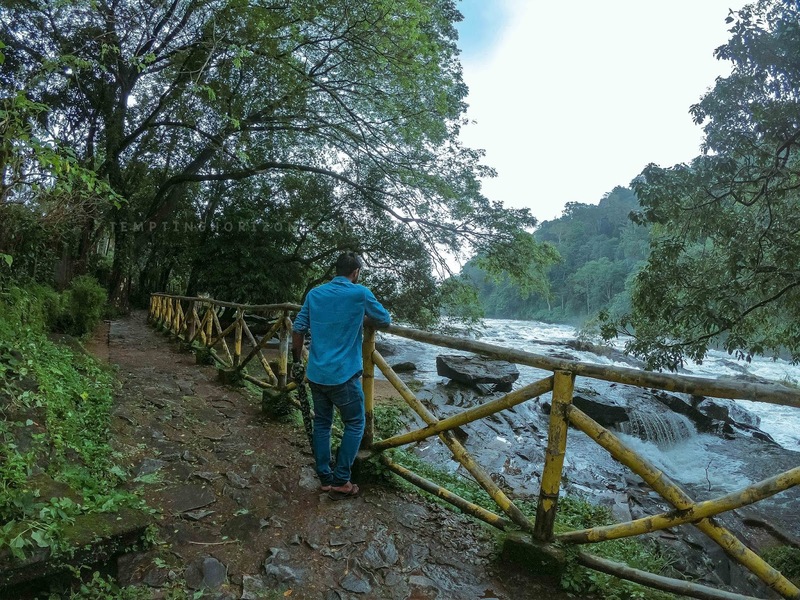 But Charpa surely deserves some attention, it is worth spending a few minutes there. 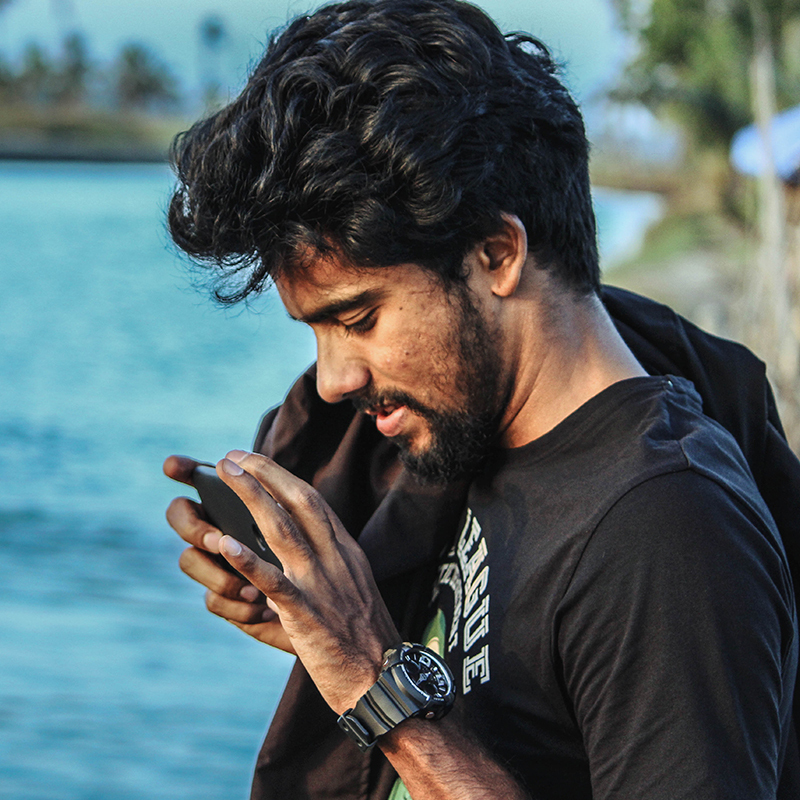 as a newbie to the place, you must have to explore Vazhachal too. In my opinion, Vazachal is even beautiful at the peak of the monsoon. We spent almost half an hour there by walking around and playing with my GoPro. Most of the people visiting Ahtirippilly stick to those destinations mentioned earlier. So this one is something special and for the people who really want to explore. Vazhachal is the permissible limit up to which you can go without any restrictions. 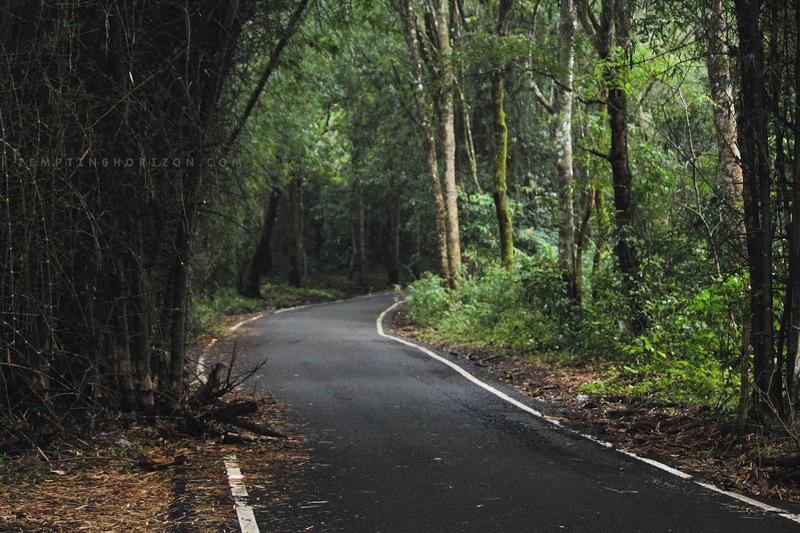 There begins the forest range which leads to Valparai, Coimbatore district in Tamil Nadu through the Western Ghats. which is totally a heavenly ride, I myself have done it thrice. Even if you can't afford that much of time, you can actually try the route for the minutes you have and come back. Trust me, every second gonna worth. We didn't take that route then, just because we both have done it before. 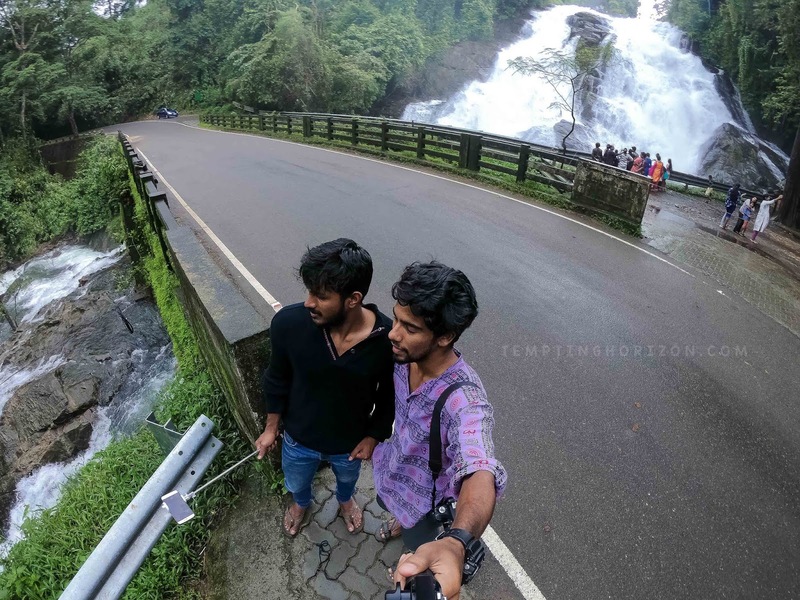 And that's how we spent some decent refreshing hours at the largest waterfalls of Kerala. On the way back you have toddy shop near Silver Storm water park at Vettilappara which is famous for the dish 'Chilli Kaada'. It is a spicy quail fry dish, here in our place we have so many fans for the same. Try that too if possible.